It’s Showtime singing competition Tawag Ng Tanghalan Finale continue with Day 5 today, Friday, June 1, 2018. Performing today to secure a spot in the Top 6 are Alfred Relatado, Remy Luntayao, Sofronio Vasquez, Steven Paysu and Arabelle dela Cruz. Two will move on and the rest will be sent home. The last two finalist will be determined through public voting. 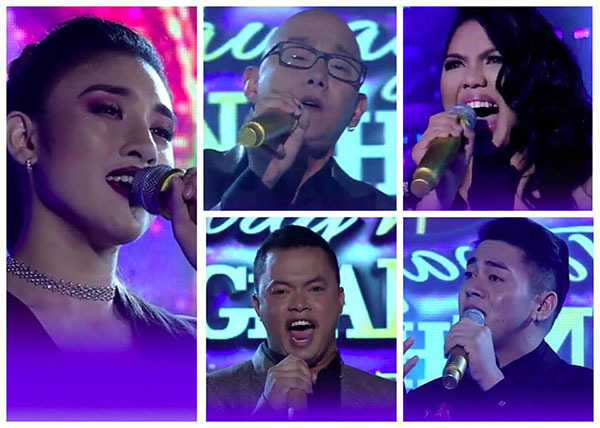 Meanwhile, Reggie Tortug from Leyte, Anton Antenorcruz of Metro Manila, Janine Berdin from Cebu and Ato Arman from Mindanao are already in the Final 6 who will compete during the grand finals on Saturday, June 2, live at the Aliw Theater. Tawag Ng Tanghalan airs Mondays -Saturday at 12 noon only on ABS-CBN. The show is also available to watch via Tawag Ng Tanghalan official live streaming channel on YouTube.